Chile has become synonymous with affordable quality wine. Buying a decent, sometimes excellent Cabernet Sauvignon for ten dollars here in Canada is quite easy. If you happen to go up the price scale, a twenty dollar Chilean wine is more often better than a forty or fifty dollar counterpart in California. If a wine is difficult to make, this will effect the cost. In Germany, especially in the Mosel where vineyards are planted on steep slopes - making grape picking a hellish and sometimes dangerous venture - the price of Riesling is affected by the geography and the labour involved. Chile, by contrast, is a 'viticultural heaven'. Sometimes compared to the Mediterranean and California, the vineyard land here is ideally isolated by the Andes Mountains to the east, the Pacific on the west coast, the extensive Atacama desert to the north and the Antarctic south. Variations in altitude and exposure create variations in local climate while the Humboldt Current, a cold wind current moving north-westward up along Chile’s coastline helps moderate temperatures. In addition, there are few if any truly treacherous slopes here. So what does this mean for the grapes? Well, varieties like Chardonnay and Sauvignon Blanc can thrive in cooler areas (namely the coastal sub-regions), attaining natural acidity while Cabernet Sauvignon, which grows throughout the country (half of all reds varieties planted) can take on different nuances depending on where it is cultivated - in the warmer valleys or further up the mountains. Along with the Andes (which also contributes irrigation water when the snow melts) and the ocean, there are strikingly few diseases and pests which cuts down the need for chemical sprays and treatments. This and the cost of vineyard land and labour is also cheap compared to other countries. The result: Chilean wines are relatively affordable. But what makes the wines here so great? Let's take a peek into Chile's history. 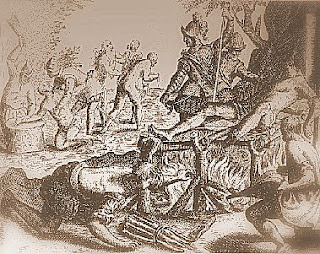 Before the conquest of European settlers, much of Chile was inhabited by several tribes. In the 15th century, the Incas invaded the north followed by the first wave of Conquistadors arriving in the early 16th century. European traditions soon followed and wine, playing a large part in religious and social life came along for the ride. Émigrés from Spain set up homes and managed estates – the disenfranchised indigenous underclass became their new slave labour. In the 17th century, Spain attempted to undermine Chile's wine export trade with few results. Throughout the 18th century, Chilean wines competed with their Spanish counterparts and were fairly inexpensive. By the early 19th century, revolutions in North America and France gave rise to a wave of immigration inspiring a much need and very important shift towards planting quality European vines (before this much of the wine was made using the low-quality País or Misíon grape). Chile, recently independent of Spain began to experiment in the vineyards and many of Chile’s most famous wineries were established: Cousiño Macul, Concha y Toro, Undurraga, Errázuriz, La Rosa, Santa Rita, Carmen and San Pedro. Exports took off, production rose and Chile experienced its first wine heyday. The Twentieth Century would prove rocky for the blossoming wine industry. Two world wars, an economic crisis and of course, the September 11, 1973 coup, overthrowing the Allende government led to a rough road towards success and quality. Domestic consumption virtually plummeted. By the 1990s, the transition back to democracy smoothed things out and prestigious French and American investors came on the scene followed by the rise of flying winemakers. Over time, it was discovered that certain areas were ideal for European varieties while others were suitable for producing jug wines. 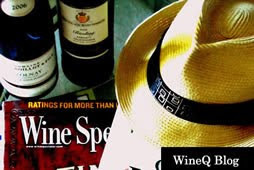 There are in total four regions (Coquimbo, Aconcagua, Central Valley and Southern) but only two that contribute to Chile's quality wine industry. The Aconcagua is named after the highest peak of the Andes at 23,000ft (7000m). The region is made up of two sub-regions, the warmer Aconcagua Valley itself and the cooler Casablanca Valley. The former is famous for Cabernet Sauvignon, while the latter is best known for being the ideal place to grow Chilean whites. The Casablanca's presence in the world of winemaking is a relatively recent phenomenon. 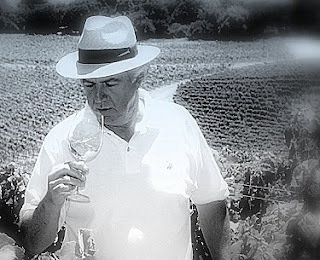 In 1982, Pablo Morandé, a winemaker for Concha Y Toro first began to explore the valley’s potential. The area was considered too close to the Pacific and too far from the Andes. With a bit of time, innovation, the valley soon developed with dozens of working wineries producing award-winning Sauvignon Blanc and Chardonnay. The Leyda Valley is a sub-region often considered part of Casablanca. The Sauvignon from here is crisper, complex with zesty herb and citrus notes. The wines can be especially complex with roasted grapefruit and nettles. If you love Chilean reds, the bulk of your favourites will most likely be sourced from the grapes in the Central Valley. 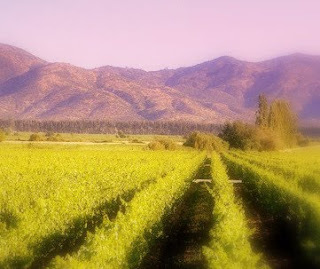 The region is comprised of the most famous wine-producing sub-regions of Chile. Maipo, just south of Santiago is synonymous with world-renowned Cabernet Sauvignon and the most famous in Chile. Rapel, divided into the Cachapoal and Colchagua areas is widely planted with Merlot and Cabernet Sauvignon. Within Colchagua, Apalta has a reputation for fine Merlot, Carménère and Syrah. The Los Vascos winery, in which Chateau Lafite-Rothschild has an important stake resides here. Curicó Valley was put on the map by the Torres family of Spain in 1979. It is made up to two different mesoclimates. Towards the east, around Molina and just north of the Claro river, it is relatively cooler due to the breezes from the Andes; in the west, the Coastal range shields the ocean influence resulting in a warmer, comparatively hotter climate. And finally the Maule, an area formerly known for the País grape and providing bulk wine, it has become home to quality Cabernet Sauvignon. Here, the skies are cloudier thanks to the Pacific influence although it is hotter and drier than Bío-Bío in the south. In my less fortunate days I didn't drink wine and consumed mostly beer and gin. When I started working for a local bar, I didn't have a clue about wine. I didn't know there were so many different varieties. I heard the words 'Shiraz', 'Merlot', then 'Sauvignon Blanc' and 'Cabernet Sauvignon'. Soon after working for the bar, I switched over to a liquor store. I was comfortable selling beer and spirits but here were all these wine bottles, all these intimidating labels and I knew almost nothing about them. For many people (myself included several years ago), Zinfandel is 'pink', 'sweet' and a 'blush' (rarely ever called a rosé). Brands like Berringer or Sutter House (or Corbett Canyon) come to mind when we hear about Zinfandel. But White Zinfandel is only part of the picture. First things first, Zinfandel is a black grape. Secondly, it's of European origin, related to the Plavac Mali variety of the Dalmatian Coast of Croatia. And most importantly, Zinfandel has been a California wine staple for almost two hundred years. First imported to the US in 1829, George Gibbs of Long Island brought the then unnamed variety from an Austrian (Croatia was then part of the Austro-Hungarian Empire) Imperial nursery in Vienna. Zinfandel, also known as Primitivo in Puglia, Italy, took hold in the 1880’s when it became the favourite wine of gold miners of California. In the 20th century, Zinfandel became overshadowed by White Zinfandel, a blush wine created in the 1970s by Bob Tinchero of Sutter Home. The popularity of the wine increased vine plantings. Zinfandel of California is often seen in the same light as Shiraz of Australia, i.e. a cheap, easy drinking wine (Australia also makes Zinfandel). Before 1998, it was the most planted variety in California until it was superseded by Cabernet Sauvignon. 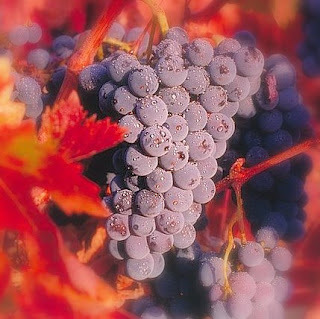 Today, a vast majority of the grape is used for bulk blush wines. These 'white Zinfandels' are perfect for patio sipping with tasting notes reminiscent of strawberries, watermelon and pink grapefruit. The red wine, however made from Zinfandel is typically jammy and full-bodied. The reason for this is that Zinfandel as a variety ripens unevenly on the vine. So while several grapes are ready and perfect, others have become raisin-like, contributing to their concentration (think stewed fruits) and high alcohol levels. 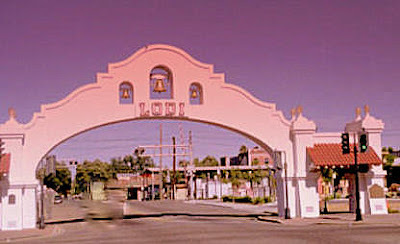 Historic arch of Lodi, CA. When I was first learning about red wine, I found Zinfandel to be a great introduction to the wines of California. Look for Zins from Lodi, a town in Central Valley, California, self-proclaimed 'Zinfandel Capital of the World'. "Stuck in Lodi", a song by CCR is frequently used in their grape festivals. As I mentioned, plantings of Zinfandel go back to the mid 1800s. Some of the most prized reds of California come from old vine plantings. These vineyards can go back as far as a hundred years. Zinfandel is rarely blended with other varieties, but Ridge Winery of California has proved to make wonderful blends (with Petite Sirah) using this popular grape. Other names to look out for: Cline Cellars, Dry Creek Vineyard, Ravenswood, Seghesio, St.Francis, and Turley in California and Kangarilla Road and Nepenthe in Australia. California foods are all about health and fun. I recommend a vegetarian pizza (plenty of artichokes, olives and mushrooms) with a nice old vine Zinfandel. The sun is shining in a new year and on a new decade. But for most of us around the world, especially the morning after a New Years party, there is only sleep and grief. According to Medterms.com, the 'sober' medical term for hangover is veisalgia. The word is a combination of the Norwegian kveis meaning 'uneasiness after debauchery' and the Greek algia, 'pain'. The word nostalgia also comes from the Greek, nost(os) meaning to return home. In a sense, veisalgia and nostalgia are related. There is the hangover and the "return home" after a party but also when you think of a New Year, the new beginning, it's also a return. 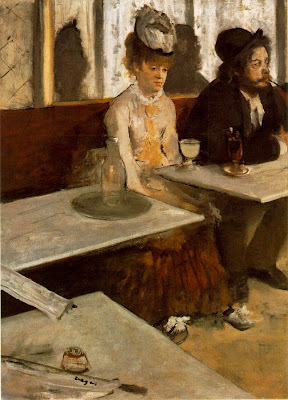 The word 'hangover' has 19th century origins in the United States. The idea that a piece of business had been left unresolved, that it 'hung over' became paired with the pain of alcohol withdrawal in 1904. In France, we have gueule de bois or wood mouth (which makes sense when we think of our dry mouths in the morning). In Germany, a hangover is referred to as ein Kater or 'Tomcat'. In this sense, we have to recover like an alley cat who's been out all night. The remedy for a Tomcat: ein Katerfrühstück, or a breakfast of pickled herring to cure us of our katzenjammer (i.e. shrieking meow of cats in pain), the severe headache of a hangover. Postumi della sbornia is the Italian phrase - or "aftermath of drunkenness" (it sounds more dramatic and serious - almost operatic). In Polish we have kociokwik and похмелье is the Russian (pronounced pakhmel-YEH). Speaking of Russian, one of my favourites words (that I know so far) is toskà (pronounced tahs-KAH). What does it mean? Well... it means a great deal but there isn't an easy way to translate it. Vladimir Nabokov explains: "No single word in English renders all the shades of toskà. At its deepest and most painful, it is a sensation of great spiritual anguish, often without any specific cause. At less morbid levels it is a dull ache of the soul, a longing with nothing to long for, a sick pining, a vague restlessness, mental throes, yearning. In particular cases it may be the desire for somebody or something specific, nostalgia, lovesickness. At the lowest level it grades into ennui, boredom..."
Toskà haunts the first day of the New Year. If we think of a New Year in relation to Old, the old has passed, it is gone. There is toskà (a dull ache) for 2009. There is also toskà for certain memories, moments we had. But we have also outgrown the year, have become bored with it. There is also toskà for the New Year, a spiritual longing for peace in the world (a dream), for our lives to make sense, to have what we want, to want what we have, to appreciate those around us. Maybe we long to return to some place or there is a lovesickness for something we don't know but it's there, an undercurrent, a moment on the horizon. In our culture we celebrate the New, what is 'fresh, original'. Our latest technology renders previous gadgets and inventions nearly obsolete. But somehow, despite our Ipods, vinyl is still available. And in the world of wine, vintages of yesteryear are closer to perfection. Despite how I feel, I'm going to open a bottle of German Riesling from 2002. In 2002 I was deeply sick, but now I'm doing alright. So far so good. I wish everyone a happy New Year. May all your recoveries be joyous - even if you don't want pickled herring for breakfast.